What is a brand, and what does it mean? The first brand as a trademark was Bass Ale, according to the 1876 UK Trademark Act. Bass happens to taste fantastic (IMHO), but it also sells at a premium. Buying a Bass “says” something about the buyer (e.g., you're not a teetotaler, but also not likely a Nascar fan). Your brand name, logo, products, intellectual property and website domain names are valuable and need to be protected by registered copyright, trademark, and patents. Learn how here. “A brand is the set of expectations, memories, stories, and relationships that, taken together, account for a consumer’s decision to choose one product or service over another. If the consumer (whether it’s a business, a buyer, a voter or a donor) doesn’t pay a premium, make a selection or spread the word, then no brand value exists for that consumer.” Seth Godin the best-selling author, highly sought-after lecturer, successful entrepreneur, respected pundit, and high-profile blogger. When a product or service does something so unexpected, so inexplicable that we are in awe of what just happened, it feels magical. It could be the feeling provided by a personal best time when wearing a new pair of Nike running shoes. It could be an elevated guest experience provided by a passionate staff who embrace the highest standards of service at a Montage Hotel. Or the menu and service at a Shake Shack restaurant. A company’s brand is not strictly limited to what is being offered for sale to customers, it comprises its characteristic way of going about things, its values, beliefs, and philosophy. If the company were a human being, we’d say the brand was its personality. Because companies are in the business of fixing people’s problems, every brand holds out to customers what we might term a ‘brand promise.’ This isn’t linked to any one single service or product, it is seldom directly stated but is present in many of the company’s declarations and manifestations (especially its advertisements). We could say that a company’s ‘brand promise’ is the distinctive contribution a company is suggesting it might make to human happiness. The realistic definition of a brand is what the customer thinks when encountering the logo, company name, image or a product. What your customer thinks the brand is, regardless of what you try to create, is what your brand actually is. Disney has a strong branded message and a well-recognized brand name and clear brand positioning. If you want to have, a wonderful family experience visit one of the Disney theme parks. Every message, every Disney character, every employee and product is dedicated to providing the same message. Family fun! Like Disney, your message must be clearly defined and backed up by market research to gain an understanding of what customers think about your brand. Wrestling with brand promises is not an indulgence. It helps management to think more deeply about what a business should properly be trying to do with the customer’s life to improve it. One of the most important aspects of a brand is brand positioning in the STP framework, segmentation, targeting, and positioning. Positioning is the essence of the brand. The basic definition of positioning requires using the four P's and the four C's to position your product to meet the needs of the target segment. Fitbit clearly identifies in their introduction video the target market for the new Fitbit Blaze™! A positioning statement is a concise description of your target market as well as a compelling picture of how you want that market to perceive your brand. It is used to communicate externally to your customers and potential customers and internally to your employees. Apple Computer and IBM provide excellent examples of positioning statements for two brands of personal computers. Both companies were once competitors in the market for personal computers and both companies had clear, crisp positioning statements. When Apple Computer company and IBM were battling to provide the personal computer for your desktop, Apple Computer's positioning statement stated, “Apple Computer offers the best personal computing experience to students, educators, creative professionals, and consumers around the world through its innovative hardware, software and internet offerings.” Compare that to IBM's, positioning statement which was: “IBM is for businesses who need computers. IBM is the company you can trust for all of your needs.” These are two different positioning statements. It is indeed an effective positioning statement when a company can be differentiated from another company in the same market segment.For example, it is evident by the positioning statements that these companies are soliciting different target segments. The target segment for Apple Computer a combination of students, educators, and creative professionals. The target segment for IBM was businesses needing computers. A brand should have a crisp target segment regardless of who uses the product. Today Apple has become so popular that everybody has an Apple including your grandmother. You probably know someone who is not a student who has an Apple as Apple products are no longer acquired by just “creative people.” Even though Apple products are ubiquitous and millions of people own them, the brand is still positioned to creative people. It's a very well designed brand with a clear target segment, even if that doesn't limit who might use the product. It has a point of difference – innovation. From its point of view, Apple offers state of the art products with design innovation. Positioning defines the value proposition in these three terms, the target market, the point of difference, and the point of parity. Early in 2007, Apple Computer's name change from Apple Computer to Apple highlighted the company’s new reality: Chief Executive Steve Jobs' strategy concentrated on various other consumer devices even more than personal computers. Consider that the day Apple announced its name change, the company also launched the iPhone. Apple’s announcement pointed to a consumer electronics company more than a computer maker. This podcast is a roundpeg discussion on positioning statements. Roundpeg is an Indianapolis digital marketing strategy agency. Roundpeg delivers marketing strategy in plain English with a healthy dose of fun. Dedicated to helping small businesses become big businesses, Roundpeg provides graphic design, web design, social media, and marketing strategy services. Part of the creativity in developing a strong positioning statement requires determining the right target market to go after. The science of positioning mandates working with your brand's frame of reference and point of difference. Once you decide on your positioning statement, you will use all of the elements of the marketing mix that we’ve already discussed, product, price, promotion, and place, to position your product to meet the needs of the target segment. Positioning should be clear and simple and focus on a few key benefits. Sometimes people refer to this as a unique selling proposition (USP). The position must be defensible. You want to position your brand in the marketplace so that you are unique and it is difficult for other people and businesses to copy. Remember you cannot be everything to everyone because if you do that, you have no position. This requires you to make choices, to focus and to choose a target segment. Likewise, you must select a point of difference and a frame of reference to have clear positioning. Once your strong brand positioning is in place, it will also help determine what products you develop. Positioning is a strategic concept, it forces you to consider what's your target segment, what do customers want, who is your competition and what is your position relative to the competition? Frame of Reference is the “the market you compete in.” In a coffee market where price, taste, and convenience are all very important, Starbucks wasn't a strong competitor. So Starbucks changed their frame of reference to “the other place you want to hang out” beside your first place (your home) and your second place (your work). 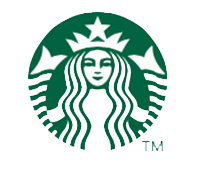 As a third-place Starbucks has a whole different set of competitors, only some of which are coffee shops. A point of difference is something that makes you different from your competition, something that your customer actually wants and believes they could not find to the same extent with a competing brand. For example, points where you are claiming superiority or exclusiveness over other products in the category. Ask yourself: “Why do people buy my product or service?” Why go to Starbucks; WiFi, best-tasting coffee, comfortable seating, ambiance, music, clean, fast service and a large variety of products. A point of parity is a point of difference a competitor has over you that you need to counteract. Sometimes points of parity are “table stakes”—characteristics you need simply to enter or compete in the market. Other times points of parity are advantages that competitors have been able to gain that are highly valued by customers. Price, the speed of service, unique location, homemade cookies, operating hours, or superior service. If you know where your brand value proposition is strong and you know where it is weak (and your competitors are strong), it becomes pretty easy to craft a solid brand strategy. Shore up the weak spots. Make your differentiators clear. How do you do that? By strategic use of the 4P’s. In 1955, Procter & Gamble's Crest first arrived with fluoride-containing toothpaste as a cavity preventer. That was a differentiator. All the other brands copied P & G and put fluoride in their toothpaste. Suddenly it's a frame of reference, a point of parity as all toothpaste now has fluoride. What the other brands did was negate the point of difference established by Crest, who introduced fluoride-containing toothpaste. On January 9, 2007, when Steve Job's announced the name change for Apple Computer, which of the three aspects of brand positioning did he change? Did he change the target segment? Did he change his point of difference? Or did he change his frame of reference? Clearly, he changed his frame of reference. Target segment, still creative young people. Point of difference, was still innovation. Today the frame of reference is no longer computers but consumer electronics.